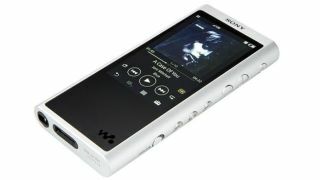 Cyber Monday deal: Save over £145 on hi-res Sony Walkman today only | What Hi-Fi? When we reviewed the Sony NW-ZX300 earlier this year, we noted its mightily impressive levels of clarity and detail for its then-£600 price. The four-star Sony has since dropped to £528 on Amazon, and now for Cyber Monday it’s been slashed by another £147 (28%), making it now the cheapest it’s ever been. However, such discount will be short-lived. The new Cyber Monday £379.99 price is valid today only, running until midnight. We’re big fans of the Sony’s clarity, detail levels, full-bodied midrange and spaciousness. And while the Sony’s lack of absolute excitement and dynamic punch next to its Astell & Kern AK70 MKII rival (£450) prevents a five-star review on this occasion, its generous discount – giving it a £70-cheaper advantage – makes it a very appealing portable music player indeed. Sound aside, it’s hard to be disappointed with the Sony’s support for PCM files up to 32-bit/384kHz and up to 11.2MHz DSD native, as well as MQA files. The 64GB storage (expandable by MicroSD card), 3.1in touchscreen and 30-hour battery life round off the Sony’s spec sheet well, and we’re impressed with its rigid aluminium milled frame, too.